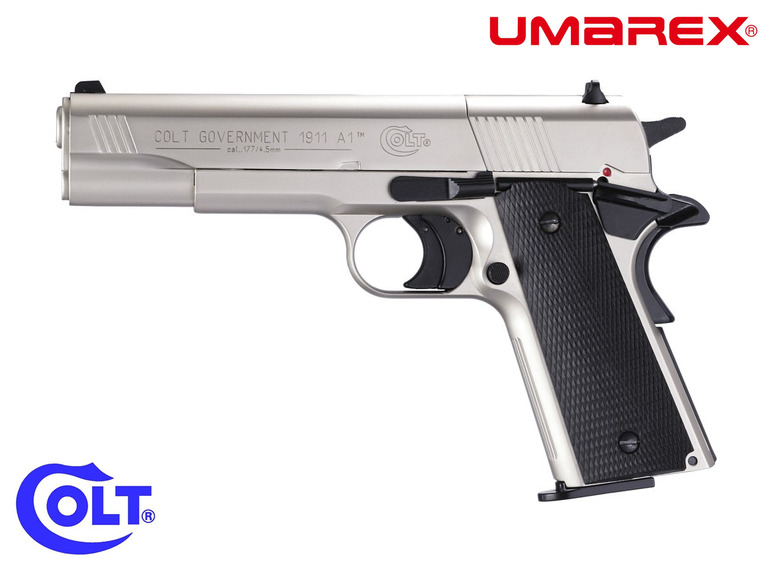 The Colt 1911 ranks as one of the most successful military designs ever developed. The timeless design, weight, and feel of the 1911 is incorporated into this air pistol with an 8-shot cylinder magazine and fully rifled barrel. The reliable Fast Action System ensures quick and simple handling in connection with the Power Cocking system.